Indigenous Australian people constitute 3% of Australia’s population and have many varied death rituals and funeral practices, dating back thousands of years. 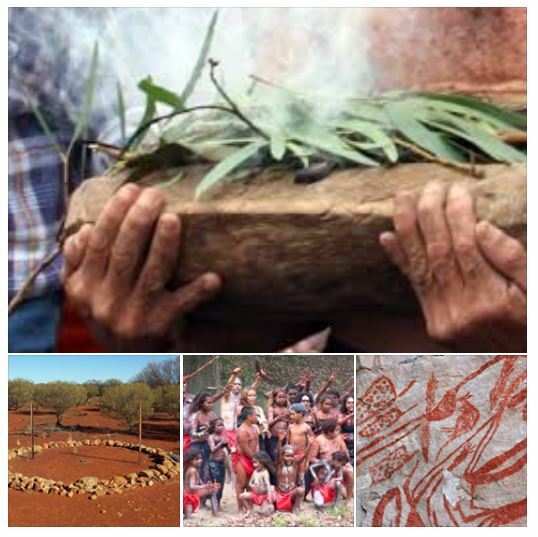 Aboriginal communities may share common beliefs, but cultural traditions can vary widely between different communities. These cultural differences mean that funeral traditions will differ, but a common idea is that Aboriginal death rituals aim to ensure the safe passage of the spirit into the afterlife, and to prevent the spirit from returning and causing mischief. You may hear Aboriginal people use the phrase ‘sorry business’. This term refers to the funeral and mourning rituals around the death of a member of the community. However, in modern Australia, many Aboriginal families choose to use a funeral director to help them register the death and plan the funeral. There are funeral directors who specialise in working with Aboriginal communities and understand their unique needs. Within some Aboriginal groups, there is a strong tradition of not speaking the name of a dead person, or depicting them in images. It is believed that doing so will disturb their spirit. This is why some Aboriginal families will not have photographs of their loved ones after they die. They may also use a substitute name, such as ‘Kumanjayi’, ‘Kwementyaye’ or ‘Kunmanara’, in order to refer to the person who has died without using their name. Not all communities conform to this tradition, but it is still commonly observed in the Northern Territory in particular. Funerals are important communal events for Aboriginal people. Ceremonies can last for days and even weeks, and children may be taken out of school in order to participate. There may not be a singular funeral service, but a series of ceremonies, dances and songs spread out over several days. Each of these may have its own structure and meaning, according to that community’s specific traditions. Some Aboriginal families will have a funeral service that combines modern Australian funeral customs with Aboriginal traditions. Again, this depends entirely on their beliefs and preferences. However, in modern Australia, people with Aboriginal heritage are more likely to opt for a standard burial or cremation, combined with elements of Aboriginal culture and ceremonies. Because of the wide variation in Aboriginal cultures, modern funerals can take many different forms. For non-indigenous people attending an Aboriginal funeral, it is advisable to speak to a friend or family member of the person who has died to confirm the dress code. It is likely, however, that smart, clean clothing in subdued colours will be appropriate. Be aware that as a non-Aboriginal person, you may not be invited to observe or participate in certain ceremonies and rituals, though this differs between communities. If you are present during a traditional song or dance, it is appropriate to stay respectfully silent, unless told otherwise.